Whether you are a collector or investor, most have inquisitive minds. The world’s museums would be empty if not for the grace of collectors of ion’s past. Rare coins, banknotes would have been lost to history without the careful attention to collectors of a long bygone period. 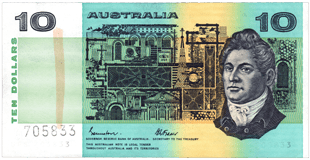 As new collectors are encouraged by banknotes from the past, which amazingly have survived in many cases for over 200 years to commence and continue their own banknote collections. Collectors want to collect the fine art of a printer’s craft, long since gone, other for their possible capital appreciation, an investment in the long term. 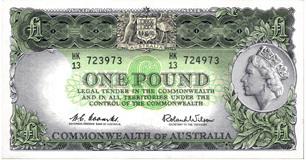 Readings can be given of great banknote collections sold for large sums of money. Most of these collections were held by the owner for many years, in many instances 15-20 years. On the other hand there are many collections the will fetch at auction or private sale their original purchase price, or a possible loss. A careful and discerning collector will be rewarded, if you have chosen wisely when purchasing, and selected the best possible grade affordable to you. Be aware that there are a number of areas of banknotes that come in and out of favour over the years. Banknote collecting is a cyclical hobby, and as such requires a great deal of research on your part prior to purchase. Look at past trends, on the area of interest to you, we suggest a ten year look into the market, then study current trends through auctions sales, dealers advertised prices and finally inspection of any sale you may make. Grading of your purchase is the most important aspect of your next purchase, for with this comes the price you will pay. If the grade is correct the price you pay should be fair and within market guidelines. Armed with all of this important information, are now ready to commence or continue with your banknote investment/collection portfolio.